Recently, Kantar Retail and BrandZ published a study on the Top 20 Most Valuable Global Retailers complied out of the Top 100 Most Valuable Global Brands. Topping the list of global brands was Google, followed by IBM, Apple, Microsoft and Coca-Cola. The retail list--which focuses on businesses that sell directly to the public--contains some well-known American giants of retail and a few companies mostly unknown to U.S. consumers. Only ten retail brands were a part of the larger 100 most valuable brands list; though brands such as Louis Vuitton, H&M, Zara and Gucci cracked the top 100, they are categorized as apparel businesses rather than retailers. David Roth, Owner of BrandZ and CEO of WPP, the world's largest communications group employing 140,000 people in 107 countries, offered some insight on how the retail list was compiled in an interview with WalletPop. "Historically, we have always categorized Gap, H&M and Zara in the apparel category rather than retail," said Roth. "Next year, we expect that we will move those brands into the retail category." 1. Walmart: This Arkansas-based retailer has a brand value of $39.4 billion. Although they still topped the list, their value declined slightly over the past year. 2. 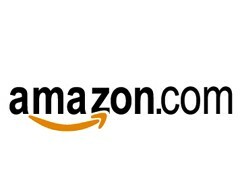 Amazon.com: In 2006, the company ranked 8th, but after experiencing a 359 percent increase in brand value, they nabbed the runner-up spot. This e-commerce company saw the largest most growth in the past year appreciating 29 percent points and coming in at a brand value of $27.5 billion. 3. Tesco: This company is not only the U.K.'s largest supermarket chain, but also its largest retailer. They operate 4,811 stores globally, more than half are in the U.K. and more than 1,000 in Asia, but a mere 145 are in the U.S. Their brand value increased 12 percent to $27.4 billion. 4. Carrefour: Combining the contents of a grocery store and a department under one roof, this French company is considered a hypermarket. After Wal-mart, they are the second-largest retailer revenue generator earning 89.6 billion EURO in 2009. They operate stores in South America, Asia, Africa and Europe. They saw a 0 percent increase or decrease in brand value. 5. Target: This Minneapolis-based retail chain operates stores in all U.S. states except Vermont. Although they moved up one spot in this year's rankings, they saw a 1 percent decrease in brand value. 6. eBay: Although its e-commerce competitor Amazon saw a vast growth in change, this California-based company saw a brand value decrease of 28 percent to $9.3 billion, causing them to lose their number five spot to Target. The study suggests how much eBay depends on consumers who have discretionary spending. 7. Home Depot: Employing more than 350,000 in its North American locations, this Georgia-based company is the largest home improvement retailers -- ahead of its competitor, Lowe's who ranks three spots below in brand value. Still, they've seen a three percent decrease in brand value since 2009 and a 67 percent decrease since 2008, when they were ranked second. 8.Aldi: Known in America as the grocery store that charges for bags and sometimes shopping carts, this German-based chain showed a growth of 241 percent in brand value since its number 16 ranking in 2008. The reports suggests that Aldi's deep discounts have benefited them in the recession. Most of the 800 items offered in their 15,000 square foot stores come from their own label. 9. Auchan: Another French hypermarket chain, this company did not fare as well as its competitor, Carrefour. They saw a 25 percent decrease from the previous year and relied heavily on market support in China and Russia. 10. Lowe's:Like Home Depot, this American-based retailer experienced some financial struggle due to the decline in home remodeling, but they were still able to increase their brand value by ten percent. Lowe's currently operates stores in all 50 states and Canada and has expansion plans for Mexico and Australia. Just missing the top 10 is U.S.-based electronics store Best Buy (no. 11) which experienced an 18 percent appreciation; landing at 12 is Swedish furniture retailer Ikea, which saw a downturn in brand value. Two other Walmart-owned retailers, ASDA and Sam's Club, also made the top 20 at 14 and 18 respectively. Costco and Kohl's also landed top 20 spots. Costso saw a brand decrease while Kohl's experienced an increase of 12 percent.